~ Pardon me, Mr. President. ~ Sure, kid, I’ll pardon you. What have you done? ~ No, I don’t mean that. I mean, beg my pardon. ~ Polite boy. Delightful. Love that. What? ~ I’m not old enough to be in a bar. ~ That’s OK – I don’t even drink. ~ Anyway – I can still pardon you, if you need it. ~ It’s good to be the king. ~ Were you ever a Boy Scout, Mr. President? ~ Boy, Boy Scouts are great. They’re boys and they’re great. ~ Boys make up Boy Scouts – all boys. 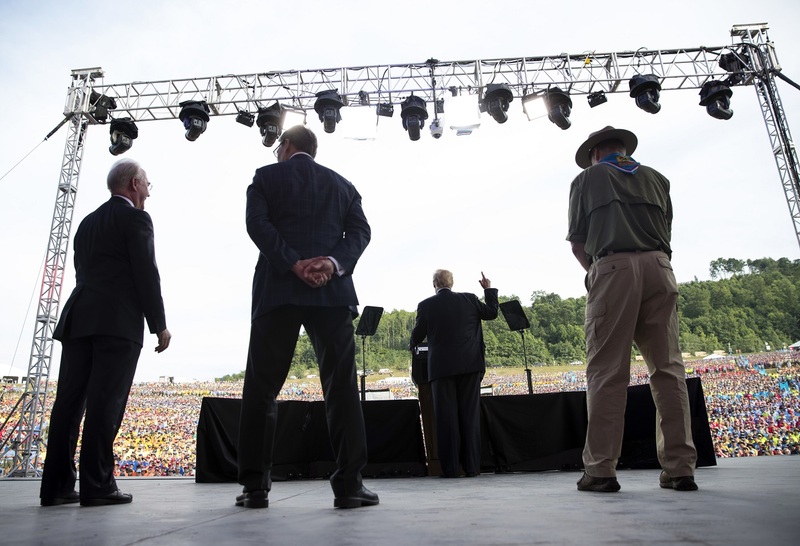 ~ That’s why they’re called Boy Scouts, Mr. President. ~ Never too young to get those badges. Tie those knots. ~ I like tying people up in knots. ~ I mean with words – tie them up. No real knots. Lot’s of words. Lots. ~ It takes many hours of work. ~ Though you can tie people up with rope. Many reasons. ~ Yup, Scout boy. Nice uniform. ~ If I do get a drink, will you still pardon me? ~ One billion percent. I will. Maybe more. Trust me.